In addition to working on fundamentals such as obedience, name recognition and socialization through our FastTrack program, your puppy will be introduced to regular grooming procedures, a mock veterinary exam, nail trims and more! The answer to your crazy, hectic, dog-loving life. 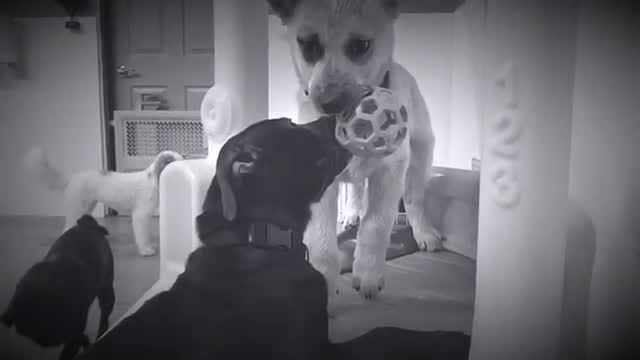 We want our clients to LUV living with dogs! 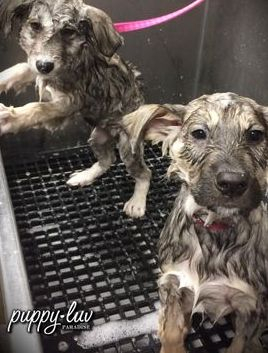 Through working with puppies early on to give them positive life experiences we can help you achieve your training goals and enhance the relationship between family and dog! 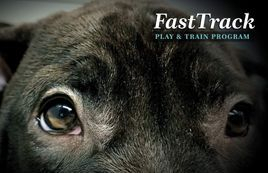 Why your puppy needs our FastTrack program! We are setting you, your family and your dog up for life. Our goal is to FastTrack your dogs' learning by exercising, socializing and training them daily while you work, providing regular reports on how your puppy's day was, then teaching you how to get the same results we are from your dog during a weekly obedience class. 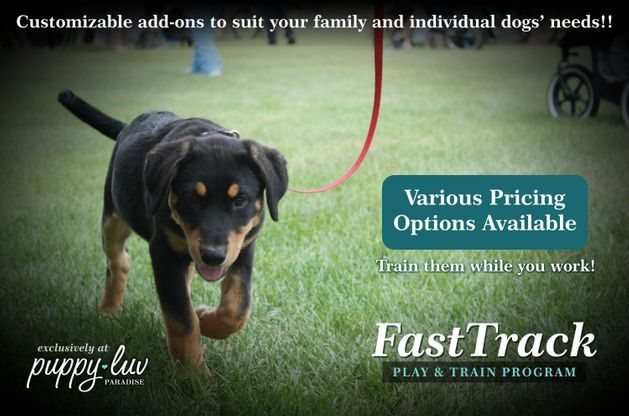 Customizeable training options to focus on socialization, behavioural issues, advanced training (whatever your heart desires)!